The American Civil War Classic with Scarleet O'Hara at its Center! With this film, Director Victor Fleming created the ultimate big screen, soap opera / tear jerker. 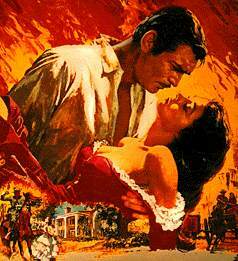 The stellar cast includes: Clark Gable, Vivien Leigh, Leslie Howard, Olivia de Havilland, Thomas Mitchell, Victor Jory, Hattie McDaniel, Ann Rutherford, Ward Bond, Butterfly McQueen, and George Reeves.